Mr. William W. "Bill" Hewlett, age 70, of Murray, Kentucky, died on Monday, November 26, 2018, at his home. Mr. Hewlett was born on January 3, 1948, in Ironton, Ohio to the late Wayne Bromley Hewlett and Faye McClanahan Hewlett. Bill started his pharmacy career in Murray at Holland Drugs, Inc in 1980. In 1984, he became the President and Chairman of Holland Medical Services, Inc and owned until 1993 when the company was sold to Rotech, an Orlando based pharmaceutical company. He was instrumental in the development of the Murray division of PulmoDose and served as Managing Director until 2005. He continued his service to the pharmacy profession after leaving PulmoDose with the development of Independence Home Pharmacy and ultimately Legacy Oxygen and later retired in 2015. 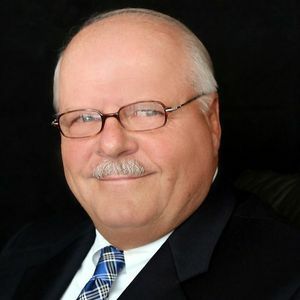 Mr. Hewlett served on the hospital board, was the President of the Kentucky Medical Equipment Suppliers Association from 1991-1994 and 2012-2014. He was a life member of the University of Kentucky Alumni Association and Fellows Society. He was a 1970 graduate of the University of Kentucky where he attained a B.S. in Pharmacy and was of the Methodist faith. Survivors include his wife Jennifer Trotter Hewlett of Murray, Kentucky; they were married on May 14, 1977, in Murray, Kentucky; one daughter, Leanne Hewlett Atchison and husband Justin of Brentwood, Tennessee; one son, John Hewlett and Elizabeth Weineke of Murray, Kentucky; one sister, Jo Hayman and husband Jim of Murfreesboro, Tennessee; as well as three grandchildren, Darby Hewlett of Murray, Kentucky, Lilly Hewlett of Murray, Kentucky, and William Atchison of Brentwood, Tennessee. Funeral services will be held at 2:00 p.m., on Friday, November 30, 2018, at the J.H. Churchill Funeral Home with burial following in the Murray Memorial Gardens. Rev. Kerry Lambert and Rev. Jim Stahler will officiate. Visitation will be held from 4:00 p.m. – 7:00 p.m., on Thursday, November 29, 2018, at the J.H. Churchill Funeral Home. Expressions of sympathy may be made to the First United Methodist Church, 503 Maple Street, Murray, Kentucky 42071, Anna Mae Owen Residential Hospice House, 803 Poplar Street, Murray, Kentucky 42071, or to the Multiple System Atrophy (MSA) Coalition, 9935-D Rea Road #212, Charlotte, NC 28277.